Two software important industry buzzwords today are CRM (customer relationship management) and ERP (enterprise resource planning). Both CRM and ERP software help you to run a business better by managing a business’s operations, customer relations, and financials. They provide access to data, analysis, and reports that can help you make smarter business decisions. FileMaker is the #1 Rapid Application Development platform in the world. It allows you to create custom software solutions that provide your business with a competitive advantage. A FileMaker solution can provide the functions of a CRM and ERP together and manage your business…but since FileMaker is a platform for building software (vs. off-the-shelf) you need to purchase or build the application that actually does the work for you. One way you can jumpstart the build out of a FileMaker solution is with a pre-built business application like fmIgnite. One popular example of off-the-shelf CRM/ERP software is NetSuite. We can compare FileMaker to NetSuite at a high level using independent reviews on G2Crowd, NetSuite gets 2.9 out of 5 stars. A common review theme from users of Netsuite is that it has a lot of capabilities in a single cloud solution but it doesn’t do any of them in an easy to use and consistent manner. On the other hand, FileMaker gets positive reviews and 4.3 out of 5 stars overall. The common theme here is that when it is the right fit for an organization, users are very pleased with the power, flexibility, cost, and speed of development of a custom FileMaker system that can function as their CRM/ERP. Comparing CRMs or ERPs like NetSuite to FileMaker is challenging because they are off-the-shelf apps but FileMaker is a tool that lets you create your own app. In addition, there are thousands of features that can be present that need to be compared. Even so, from the ratings we often see users are more satisfied with a solution that provides the ability to customize it exactly for their business and workflow. SAAS solutions are someone else’s idea of how to run your business and can be overly complex for what you need. If an organization uses FileMaker, it shouldn’t be a data island. Combining FileMaker with other powerful SAAS (Software as a Service) applications or even using it to supplement missing features in an existing system is a great way to build a complete business solution. We’re always looking for the best ROI (Return on Investment) for technology spending. We don’t want to reinvent the wheel unless we know we’re making a better one. If there is an off-the-shelf SAAS app that works well, we can take advantage of that and use FileMaker where customization is required. In most small to medium businesses and even within departments in large corporations, FileMaker can act as a digital information hub or data warehouse. We can take advantage of FileMaker’s ability to quickly create reports, view, search, and consolidate data in many ways. Through custom integration FileMaker can share information with nearly any other system that exists. So in the universe of software out there FileMaker is an important star…that can have many planets orbiting around it. In 2013 the Gartner Group coined the term “postmodern ERP” and described a strategy where legacy apps and highly customized ERP suites could be replaced by a mixture of both cloud-based and on-premise applications, which are more loosely coupled and can be easily exchanged if needed. Here they recommend specialized software to extend a core ERP utilizing best-of-breed software to supplement it. This provides speed and flexibility when reacting to unexpected changes in business processes. FileMaker is uniquely positioned to be a valuable software platform to make this happen. 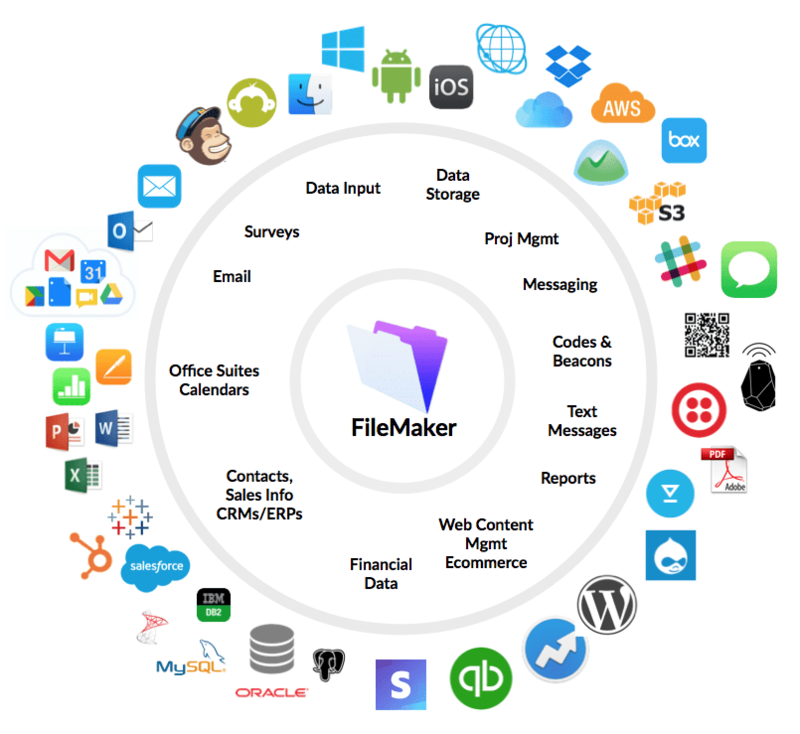 In the following diagram we show how FileMaker can be the digital hub at the center of many sources of information and workflows. For example, at LuminFire we use best-of-breed tools internally to make our work the most effective, productive, and profitable it can be. We selected Basecamp to assist us in better communication regarding our projects because it effectively organizes To Do items and our conversations around them while integrating easily with our email workflow. It does a lot of things that we could do with FileMaker or a custom built web app, but would take us a lot of time to build on our own. Basecamp is the best way we’ve found to work for our team of engineers, clients, or other people that do not have direct access to FileMaker client. However, we use FileMaker as the project management tool of choice for many things that Basecamp doesn’t do as well or in the way we need to fit our core business. For example, we use FileMaker (and fmIgnite) as our master CRM and ERP. FileMaker also allows us to track time, create estimates, produce invoices, etc. We send direct messages to our team members directly from FileMaker with Slack. We push invoices and transaction info from FileMaker to QuickBooks for producing financial and tax reports. We create email lists from FileMaker contacts for use in MailChimp. We send trackable html emails via Sparkpost. FileMaker generates custom PDF agreements and invoices that get sent via email with links to web payment forms using Gravity Forms and Stripe. Forms from our WordPress website generate new sales records and contacts in FileMaker through BrilliantSync. We send individual contacts from FileMaker to iCloud accounts for syncing to iPhones and other iOS devices. We connect client data folders on Google Drive and individual documents and agreements to contacts in FileMaker. We display contacts on maps and visualize where our work is coming from with GIS. The process of making software talk to other software is called integration. Some of these integrations are easier to use than others. Most integration takes development that is a step up from basic FileMaker programming because you need to know advanced techniques to program or talk to the external system. So how do we make FileMaker talk to these other apps? (1) Email – Sending an email from FileMaker is directly accessible via a script step. It’s one of the simplest integrations in FileMaker. To take it further and do html emails or track the emails to be sure they arrive and are not considered spam requires more work with a custom plug-in or connection to a mail sending service. (2) ODBC/JDBC – Open Database Connectivity and Java Database Connectivity are technologies that allow FileMaker to talk to other databases through a common data language. (3) Plug-ins – FileMaker has access to many 3rd party plug-ins for specific purposes. Some plug-ins facilitate integration with other software. They frequently require an additional license fee. An example might be a plug-in that talks specifically to Microsoft Outlook or QuickBooks. (4) ESS – External SQL Sources is powerful technology that allows FileMaker to talk to nearly any other database including MySQL, MS SQL Server, and Oracle. Since FileMaker 15, a new architecture for ESS Adapters allows access to even more external database systems including PostgresSQL and IBM DB2. FileMaker is great for creating reports and accessing information offline. Now makes sense in many more scenarios. (5) Scripting Languages such as AppleScript, DDE, and Visual Basic offer ways of connecting software tools. (6) REST APIs, JSON, and cURL – These technologies provide powerful ways to integrate FileMaker with other services. With the recent release of FileMaker 16 these technologies are now built into the core FileMaker system. API – Application Program Interface is a set of routines, protocols, and tools for building software applications. REST – (Representational state transfer) is the de facto standard for communication between services and apps. Along with JSON, REST is critical for making applications talk to each other. cURL – is a tool for requesting or sending data or files using the URL syntax. Any application or service that has an API or is based on a database can talk to FileMaker and exchange information. You can perform basic REST in native FileMaker using the Insert from URL script step. To take this REST integration to the next level and work with more complex APIs such as those offered by YouTube, FaceBook, Twitter, Google Apps and Vimeo, you can use the BaseElements plugin that allows full access to any web service using the cURL library behind the scenes. Amazon Web Services (AWS) S3 storage for container data. Placing this info on S3 takes care of backup redundancy, offloads data from the FileMaker server, and makes it easily available to the web as well. QuickBooks / AccountEdge – QuickBooks and AccountEdge are popular accounting package that when integrated with FileMaker (on the Mac or Windows) can offload a ton of accounting functionality that doesn’t need to be recreated in FileMaker. Your accountant is likely also familiar with one or the o and can get any report required. WordPress – Bringing in data to FileMaker from forms filled out on the web. Pushing critical information managed in FileMaker to the web content management system for public display. GIS (Geographic Information Systems) – Producing complex interactive maps and visualization of information geographically using FileMaker data. HIPAA Security – Integrating secure services for the purposes of storing or transferring medical information ePHI (electronic Personal Health Information). WooCommerce Ecommerce – Pushing product information from FileMaker to a web site and pulling new orders taken online and many other integrations points. MailChimp / Constant Contact – Syncing contact lists and email campaigns from FileMaker data to the email service. 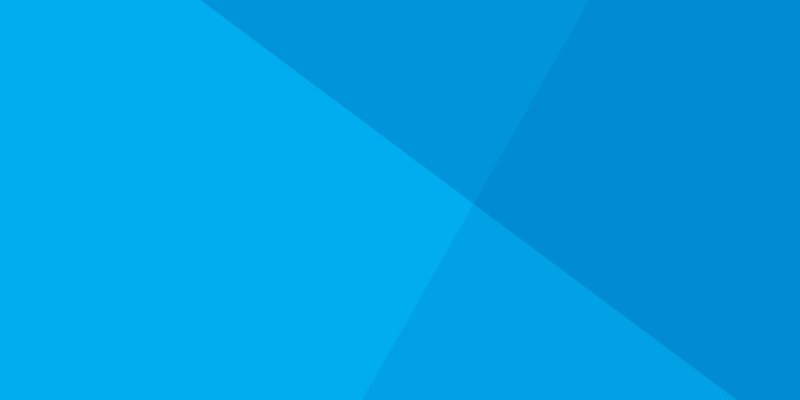 Mandril, MailGun, SparkPost – Sending trackable html emails reliably. Twilio – Sending instant text messages. Slack – Pushing internal company instant messages from FileMaker as reminders or notices. iCloud – Pushing contacts and calendar entries from FileMaker to iCloud so that they can be viewed on an iPhone. Nearly all of these integrations make use of the key technologies we’ve discussed above. As we at LuminFire have already completed these integrations either internally or for use on other projects, we can provide them to our clients…and do so at a more economical rate than a developer that needs to build the code to do so from scratch. Many integrations are included out-of-the-box in our FileMaker custom app framework fmIgnite in combination with BrilliantSync. 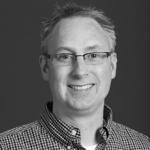 The key to effectively using FileMaker today is determining where it is the best fit tool. When will using it maximize your ROI? When does it make sense to use another off-the-shelf software package instead? When does it make sense to invest in making them talk to each other via software integration? Every business situation is unique and the answers to these questions will depend on many factors. It makes sense to complete an analysis of existing systems and design a future solution that is the right fit taking advantage of the best-of-breed software available so that you get the ERP/CRM system you need. Our blueprint process can help by designing the solution or offering second opinion for your own analysis based on our experience with hundreds of projects. The software world is not simple. You can’t just buy one software package and expect to run your entire business with it and be as effective, productive, and profitable as possible. With FileMaker in your toolbox operating as a digital information hub at the center of your software solution you get the advantages of owning all your data, being able to connect to nearly any other software tool, customizing your workflow however you want, and doing so cost effectively across platforms including macOS, Windows, web, and mobile.